The heart of the Gospel is the reconciliation of man with God. If reconciliation is the heart of the Gospel, the reconciliation of man to man is also paramount. This week, I have been endlessly barraged with gossip from neighbours. Talking about: “Oh I just found out that Bill, whom I thought was a Christian, was caught up in this heinous sin.” Sin is heinous. So is gossip. We are going to look at the ministry of reconciliation between man and man. Got it? The first step in the reconciliation of man to man involves, shutting your mouth. Our direction from God is simple. Gossip does nothing towards restoration, and reconciliation. It can’t. It’s powerless. The seconds step: Don’t believe all you hear. The truth usually lies somewhere in the middle. Be very careful what you say, or how you react. If someone has a juicy tidbit about someone, excuse yourself, and walk away. It’s that simple. Refuse to listen to gossip. Yes it’s hard. But someone’s reputation is at stake. I will talk about the steps of reconciliation in a few moments. Reconciliation – changing the relational dynamic, either between God and man, or man and man, involves forgiveness. We want to believe that tasty tidbit of tantalizing tales…but often we fail to see the need to forgive. Most likely you have heard this before. It’s taken from the Disciples’ Prayer in Matthew. 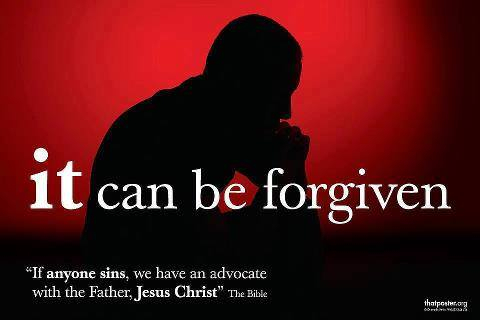 If we expect God to forgive our sins (1 John 1:9-10), we MUST learn to forgive others. Tell me, what sin did Jesus NOT pay in full on Cavalry’s Cross? Past. Present. Future. The fulfillment of the Law….love. Yeah. Nobody wants to do this step. When I heard the juicy tidbits from my neighbours, I immediately went to him and asked: “Is this true?” It is hard, but this is the first step towards restoration. How many of us choose to believe half truths, without ever going privately to the individual first? Oh? Did you remember that we are NOT to repeat anything outside of this conversation? Privately. Not publicly. 2. If the private conversation does not work, we proceed to step 2. We confirm things in the presence of other witnesses. 3. Step 3…if that does not work – tell it to the church. 4. Treat him as a tax collector and a gentile. In other words shun this person. But look at the steps closely. We want to go to step 4 and shun this person, rather than going first privately to the individual. If we claim the name of Christ as our Saviour…we MUST also be involved in the ministry of reconciliation. Our priority is always: “How do I let God use me to change the relationship of this person to God, or how do I change my relationship to someone else? Relationships are at times difficult.